With the millennials extremely cautious of their health, starting a fast food delivery business with all the healthy ingredients is a great idea! You just need to focus on your product quality, marketing strategy and shipping services, and dedicated staff to handle customer queries and feedback. You must have good communication skill, understanding of your client requirements and able to handle manpower. You have to start selling others products by taking some marketing charges and extra profit per selling rate. This will be one of the best profitable business ideas to start your own business. All you need to do is serve some variety of coffee at the shop and ensure that it has a good and comfortable interior for people to hang out. You can also add some extra perks to attract customers by offering free wifi and complimentary services. If you have ideas to manufacture customized and compact furniture then, you can start manufacturing and selling in your local and online store. If you can provide affordable car cleaning services then, this one is the best business idea with low investment. It can easily be done by college students and as a part-time side business. If you are well in cooking low-fat diet food then, you can start a diet food restaurant. This is one of the most profitable business ideas for cooking experts. You have to connect all types of handyman, i.e. plumbers, electricians and all workers under one roof and start your own handyman service office and online website. Start marketing and get clients. Provide on-time service in this business to grow your business with positive customers’ reviews. Biscuit & cookies are high selling items in the food market. It has higher potential and selling rate. So, why not start selling homemade biscuit and sweets? If you are passionate about delivering service and having a good amount of communication skills and contacts then, you can start courier business. You can start delivering all products of DHL, FedEx etc. You have to arrange loyal workers and trusty van with a good driver. You will get good income once established. If you are well educated in accounting then, you can start a local business from your home or office. You have to market yourself with small business owners and other accounting workers. If you are well skilled, talented to make handmade gifts then, this is one of the best profitable business ideas for you. You can start this business from your home or through an online store and eBay. This business is an evergreen profitable business idea for all college students, part-time workers and housewives. You can start your own matrimonial agency, where your team will segregate the datas of potential grooms and brides to fix their matches while ensuring proper background check, and you can run your successful business because weddings in India are evergreen and profitable functions. You just need to buy all designer clothes at a wholesale rate and sell it on the retail price. If you are passionate about professional gardening and green plants then, you can start a professional gardening business. Much work can be done with the van- delivering things, moving home luggage, dropping students and other professional business work. So, if you can afford a simple van then, you can start this business as a part-time and in future it will become a full-time work. 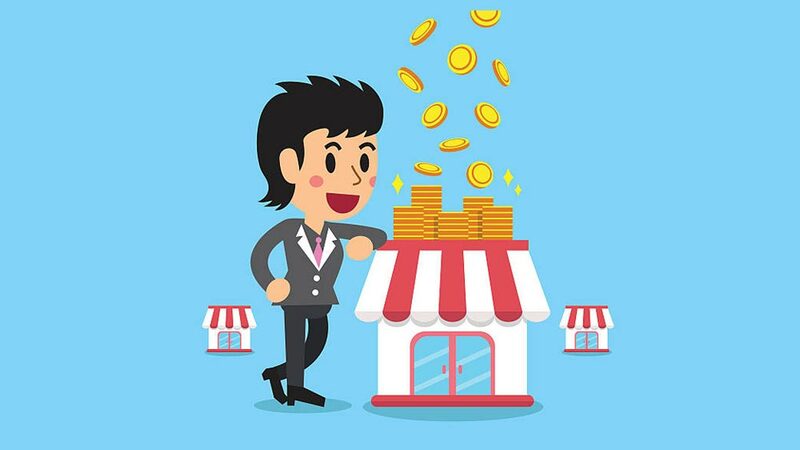 You can sell products on eBay by just buying at a wholesale rate and sell it with a good profit margin. You only need a small office or home office & cooking staff with cooking tools & set. Just start marketing, get customer and deliver high quality, hygiene and tasty food.